In Ontario, ‘Move Over’ legislation was drafted in 2003. The law requires drivers to slow down and proceed with caution when passing an emergency vehicle or tow truck parked on the side of the highway with its lights activated. If the highway has more than one lane, the law requires the driver to move over and leave one lane between their vehicle and the parked emergency vehicle or tow truck if it can be done safely. Drivers can face fines from $490 to $2,000 by failing to comply. What to drivers need to do? 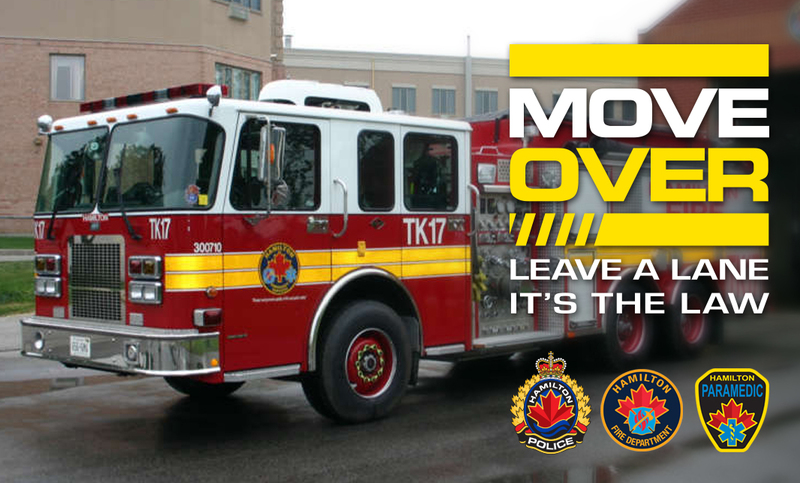 Move over: If the road has two or more lanes, you must move over and provide a lane of space between your vehicle and the emergency vehicle. Where can I find the Move Over law? Be cautious: Always approach emergency vehicles with caution. You never know what could happen. Give them space to oper ate. 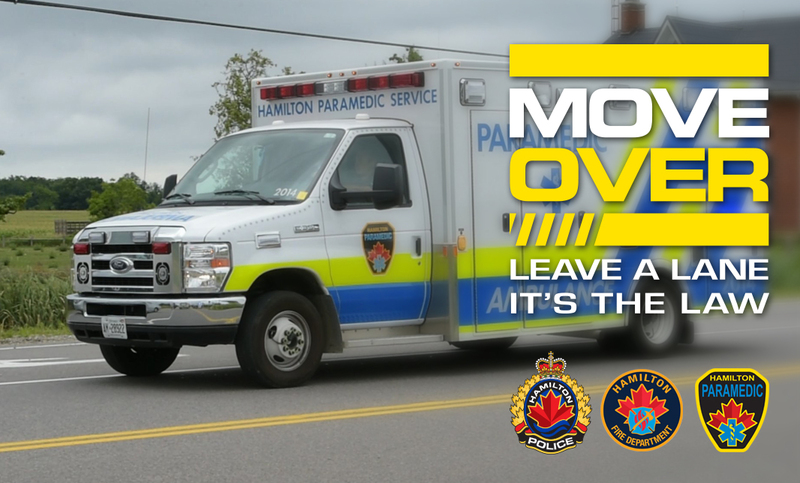 Use your signals: Always use your signal when you intend to make a lane change to move over for emergency vehicles. No sudden movements: Avoid braking suddenly or making a sudden lane change. Check your blind spot and assess road conditions before changing direction or speed. 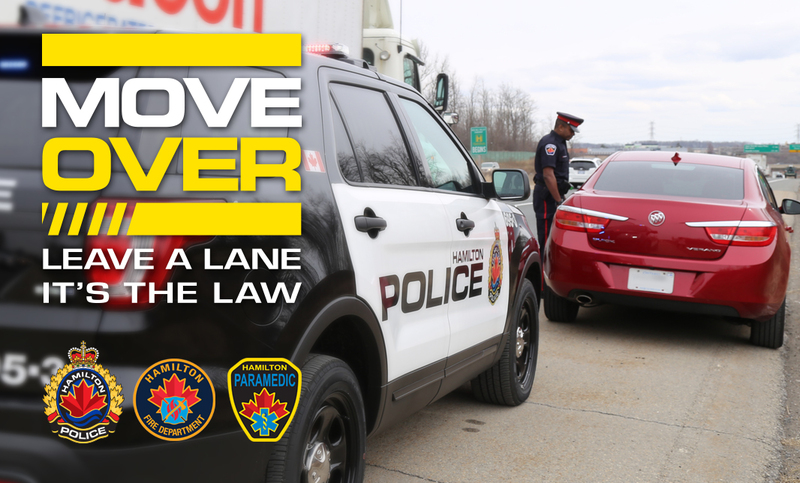 While Hamilton Police Services does not collect statistics on Move Over infractions, the Ontario Provincial Police Service (OPP) has seen an increase in the number of charges. In 2016, the OPP laid 2,443 Move Over (and related) charges, surpassing 2015 which also saw a significant increase over previous years.